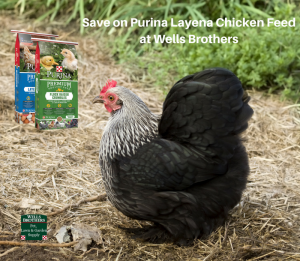 Purina Layena Chicken Feed savings in April at Wells Brothers! 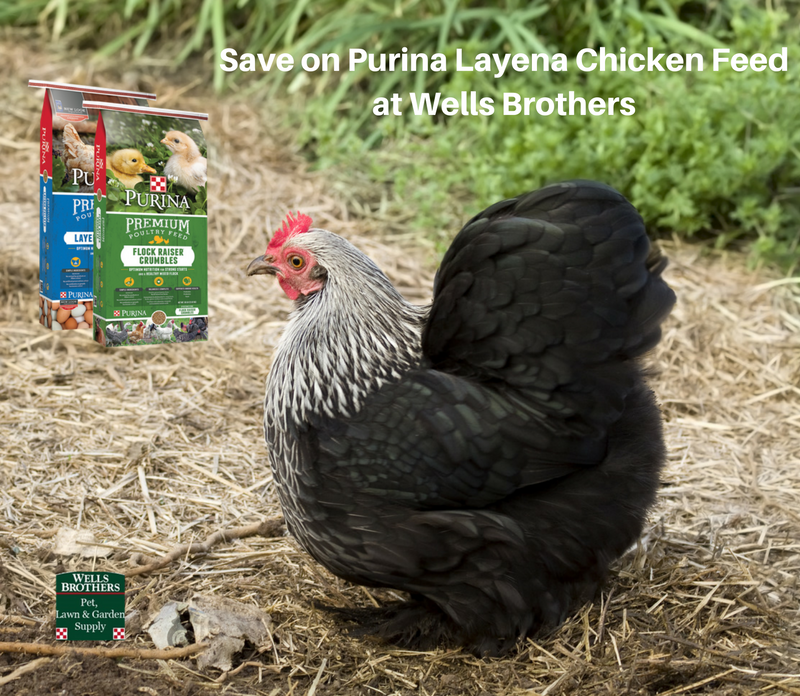 Give your flock the best possible nutrition and SAVE with Purina Layena Chicken Feed. Layena provides optimum nutrition for healthy birds and nutritious eggs. A 16%-protein, high-calcium ration formulated with prebiotics, probiotics, and yeast for top-producing laying hens once they reach 18 weeks of age. Now with NEW Oyster Strong System™ for strong shells. Oyster shell provides another source of calcium when the hens need it most. Oyster shell is a larger particle size than limestone. This means that oyster shell will stay in the digestive tract longer and will provide a source of calcium for eggshell production over a longer period of time than smaller particle sources of calcium. This is especially important at night when the eggshell formation is rapidly occurring and dietary sources of calcium are limited because the bird is not eating. 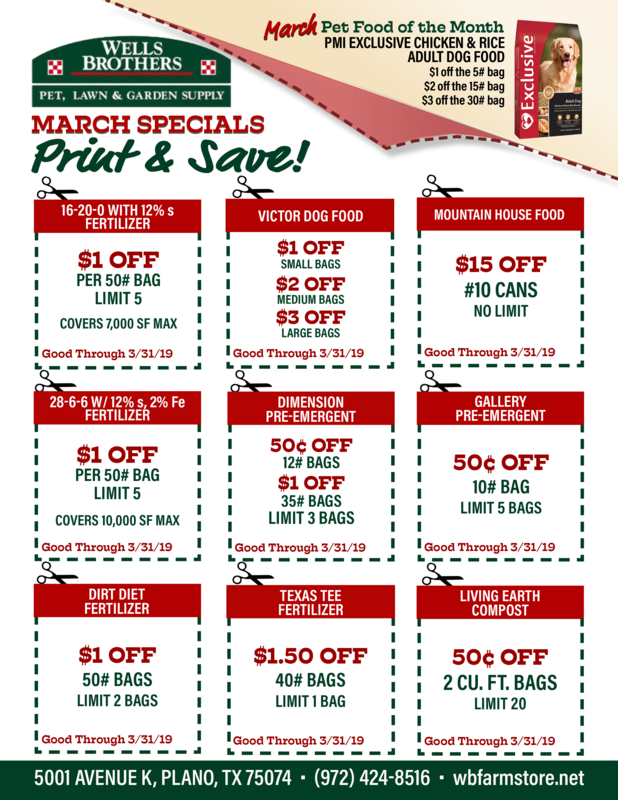 Prices valid April 1 through April 30, 2019.